Hi Friends you guys all know what is a DLL? It means Dynamic Link Library the .dll file contains the Library of function which can be accessed by Windows Programs. 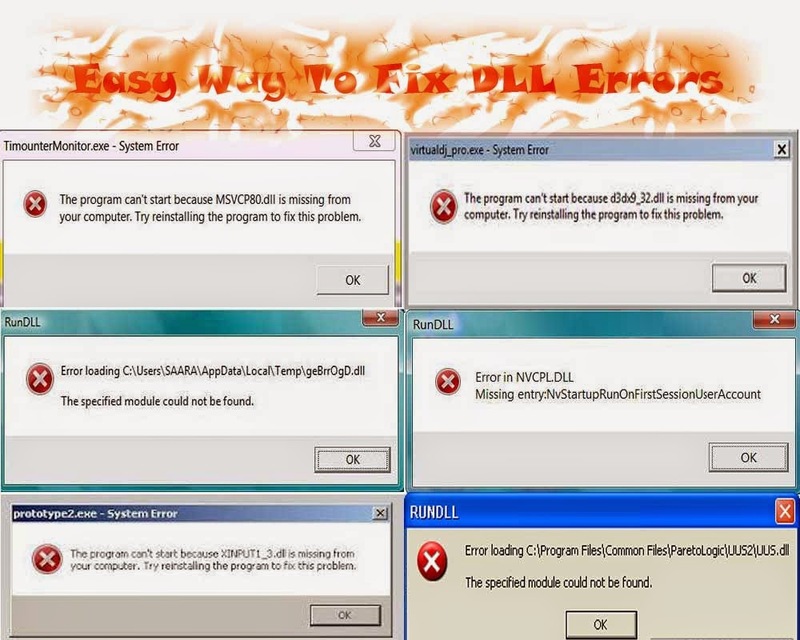 Best way to fix dll errors For more information about DLL Click Here. 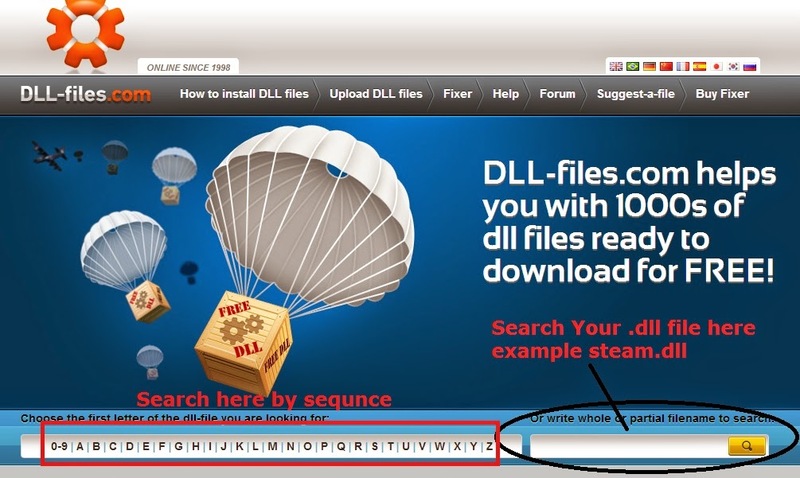 Many windows software and games need this .dll file when we install some game it contains many .dll files if anyone .dll file is missing the game or software will not run it shows an error by saying an .dll file is missing so here is the easy way to fix that error just follow the below steps. 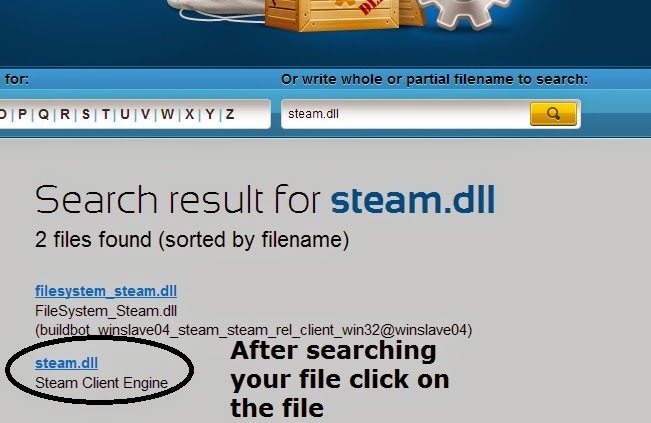 Step 2:- Search Your Missing .dll file as shown in the below image. Step 3:- After searching your file click on your file as shown in below image. Step 4:- There are two types to fix your file error first is Automatically fixing or Manually fixing as shown in below image. 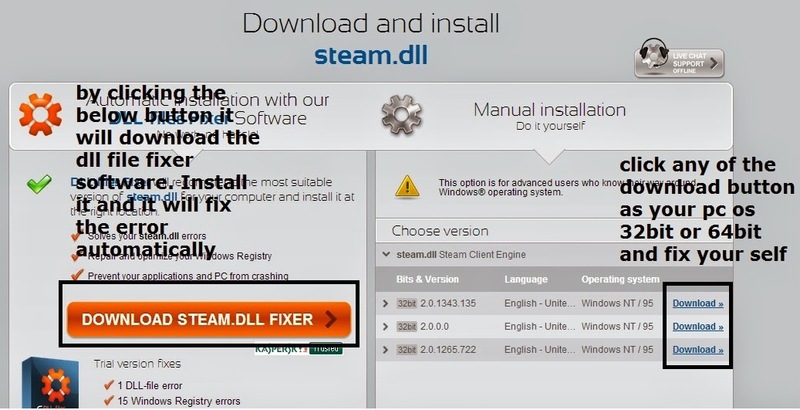 Step 5:- If you want to fix it automatically just click on that Download steam.dll fixer the software will be downloaded and install it after installation scan for missing .dll files and it fixes that error i am not sure your error will fix. But manually fixing is better download the compressed file of .dll as your OS version supports 32bit or 64bit and then unzip it and copy and paste the .dll file where your game or software is installed. There you are done your error is fixed. Above is the best guide to fix missing DLL and errors. 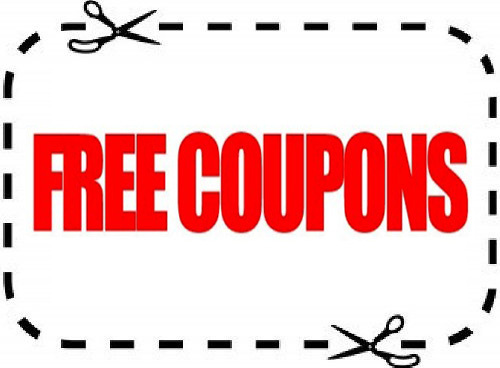 Please like it and share it with your friends.